The Bahujan Samaj Party leadership today clarified that they might not go in with Punjab Democratic Alliance if the SAD (Taksali) insists for the Anandpur Sahib seat. BSP Punjab in charge Randhir Beniwal today told The Tribune: “They have to vacate Anandpur Sahib seat for us or else we won’t be a part of the alliance. Our party got 69,124 votes from this constituency and we have a fairly good votebank here. We can snap ties but won’t give this seat at any cost”. Interestingly, singer KS Makhan had contested from the seat in 2014 Lok Sabha polls for the BSP, but he joined SAD soon after. The BSP has been staking claim on Jalandhar (SC), Hoshiarpur (SC) and Anandpur Sahib seats. Earlier, the BSP had an issue with the alliance as its leadership told all proposed alliance partners that they have to accept BSP chief Mayawati as the Prime Ministerial candidate. The members of the alliance, including SAD (Taksali), Lok Insaaf Party, Punjabi Ekta Party and Dharamvir Gandhi, had expressed their dissent on the matter. With most top leaders with negotiating skills having already left the BSP in the past few years, the party’s present leaders have not been able to draw consensus with Aam Aadmi Party as well. There have been quite a few glitches that the BSP has been encountering with AAP too. The BSP this time wants singer Jassi Jasraj, who has come to its fold after quitting AAP for the second time, to contest from Anandpur Sahib. BSP chief Rachhpal Raju says: “He has applied for ticket from our party and we are keen on him”. 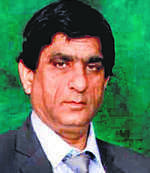 SAD (Taksali) Ranjit Singh Brahmpura says: “We cannot think of forgoing our newly inducted candidate Bir Devinder Singh. We will certainly make him contest. Our talks with BSP have got postponed as of now”.